Sometimes you just get lucky. On February 22, 2001, Miso Alkalaj, a friend and co-conspirator, sent Joey Skaggs the first of many emails about a current news story in Slovenia. Alkalaj had played a significant role as a scientist in the Stop BioPEEP hoax in 1998. In real life, he is an information technology analyst, mathematician, and writer who works at the J. Stefan Institute, a prestigious scientific facility in Ljubljana, Slovenia. The email stated that a young law student named Matjaz Rogelj had announced that he, representing all of Europe, had won first prize in a world competition in computer programming in Rio de Janeiro. The media immediately hailed him as a national treasure and the pride of Slovenia. President Milan Kucan wrote him a congratulatory letter, the text of which was featured on the official government Web site. His victory was welcome news. But a few days later, some skeptics in the media had become suspicious because, after the story appeared, they could not substantiate the existence of the competition, nor could they locate or talk to the student. So now, they were asking Alkalaj, and other experts in the field, if they knew anything about the competition. Alkalaj, not being a great fan of the popular media, decided to stay out of it, even though he thought it sounded fishy. He told them he knew nothing and had no comment. This apparently fanned the flames of curiosity and the press pushed him for more information. When none was forthcoming, the action was deemed a hoax and the President removed his letter of congratulations from the official Web site. By February 23, 2001, Alkalaj’s phone was ringing off the hook. The student still could not be located. Because Alkalaj continued to decline to comment, members of the press decided that this had to be a Joey Skaggs hoax (they believed they recognized his M.O. from his Stop BioPEEP hoax). They began to wildly speculate. Alkalaj kept Skaggs updated as the story grew. Skaggs was intrigued. Having previously visited Slovenia on two occasions, the first time as an invited lecturer to discuss the responsibilities and challenges inherent in operating a “free” press in a democratic society, and the second time after having perpetrated the Stop BioPEEP hoax. So the Slovenia media were familiar with his work. On February 26, journalists began calling and emailing Skaggs. Musing that you can’t look a gift horse in the mouth unless you’re a veterinarian, Skaggs decided to accept the responsibility the media seemed to want to place on him. They were asking, no begging, for it. He asked Alkalaj to get him the facts (of which there were few), and armed with the sketchiest of information, he told journalists, one after another, that they were indeed correct in their assumptions and conclusions that this was a Skaggs hoax. He congratulated them for catching him red-handed. To clinch it, he concocted connections and dropped hints to convince the reporters of that which they had already convinced themselves. When he learned a new piece of information from one journalist, he would then pass it along to the next. They were so proud to have unmasked the master. There seemed no end to their self congratulatory stories. And still no one could find the student, verify the competition or figure out what he had done with the money. He had identified the sponsoring organization as the “Sat 5 Institute”, with offices in New York and Rio in Brazil. But no one could verify their existence other than a Web site under construction. So they decided this could only be a case of fraud. Alkalaj still declined to comment. But none-the-less, he and Skaggs became implicated in the accusations of criminal activity. The media assumed that either Skaggs had corrupted this young brilliant student so that he illegally took money, or had himself been hoaxed by the student, whose intent was to financially benefit from the deception. The speculations, accusations, and condemnations got wilder and wilder. The Slovenia media twisted and turned on their own spin. Truth was, Skaggs had never heard of such a thing as a computer competition. So he invented stuff about artificial intelligence and human decision making and he linked it to his Stop BioPEEP hoax and his Solomon hoax. All along, he thought the student must be a chess champion, so he told the media he was sorry that they had caught him because he had been planning to challenge IBM and Big Blue and would eventually have taken on the Russian chess champion. It didn’t matter what he said. The Slovenian news media extrapolated and concocted their own version of the story to satisfy their pre-conceived notions. They didn’t listen to what he was saying nor did they realize that it made no sense. Maybe it’s a cultural thing. Or maybe it was just people hearing what they wanted to hear and filling in the blanks with their own imagination. Usually Skaggs’ concepts are elaborate and complicated. They sometimes take years to develop and execute and involve many people. But on occasion circumstances and coincidence allow him to take advantage of a situation. His Entertainment Tonight hoax and To Tell the Truth hoax are examples of not having had to do much other than satisfy the media’s appetite. The Geraldo hoax is an example of where the media asked him to do their homework for them. These are situations where he just stepped in and became the monkey wrench. The Scandal in Slovenia was just such an opportunity. On March 1, 2001, after numerous days and nights dealing with press inquiries, Skaggs decided it was time to tell the truth. He had sufficiently made his point. They had essentially hoaxed themselves in their desire to believe that he was responsible. He had simply accommodated them. Alkalaj published an expose in which he revealed the truth of his and Skaggs’ involvement with the student–which was zero. And the news media continued to speculate. As of this writing, they have not yet taken responsibility for jumping to the wrong conclusions or making criminal accusations in their effort to get a story out as fast as possible. To put this story in perspective, fooling most of Slovenia is almost like fooling most of Brooklyn. Just a lot easier. No big deal one might say. And Skaggs agrees. But Slovenia is an entire country with over two million people who speak their own language (actually… so is Brooklyn). But there is a difference. Slovenia is not culturally accustomed to the work of pranksters and hoaxers (other than that of their own politicians and PR spinsters). New Yorkers, on the other hand, expect and hope for tall tales to keep them amused, stimulated and motivated. Skaggs truly doubts the Slovenian news media will ever be convinced of what is true and what is not. And, most of them will probably never admit their errors in journalistic responsibility. So, the best they can do, since they can’t make themselves look better, is to try to make Skaggs and Alkalaj look bad. While, of course, painting Matjaz Rogelj as an arch-criminal with accusation upon accusation before the police or the public prosecutor have even formulated an indictment, to say nothing of allowing him his day in court. The presumption of innocence does not appear to be something certain members of the Slovene media are willing to respect. Footnotes: On March 12, 2001, Rogelj returned to Slovenia and was immediately taken into police custody for four hours. He requested to speak with his attorney who was waiting at the airport, but was denied. No further details are available except that his attorney believes that his rights were violated. At this point, only Rogelj knows whether or not he did what he claims to have done. Unfortunately, the media have played a key role, acting as judge and jury, and appear to have strongly influenced the police and the government to act with a swift force generally reserved for the most extreme criminals in Slovenia. Alkalaj was summoned to report to the police on Tuesday, April 3, 2001. He complied, accompanied by his attorney. In answer to their questions, he said he had never met Rogelj and never talked or communicated with anybody by that name. In answer to his questions, the police acknowledged that he was being questioned because of allegations of connections between Rogelj and him reported in the media. It appears that the media’s allegations affected the investigation and forced the police to follow blind lines of inquiry. 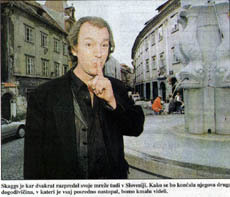 On April 9, 2001, a reporter for Finance-on.net in Slovenia suggested that, although the police have not confirmed or denied this, similar questioning awaits Skaggs as well. 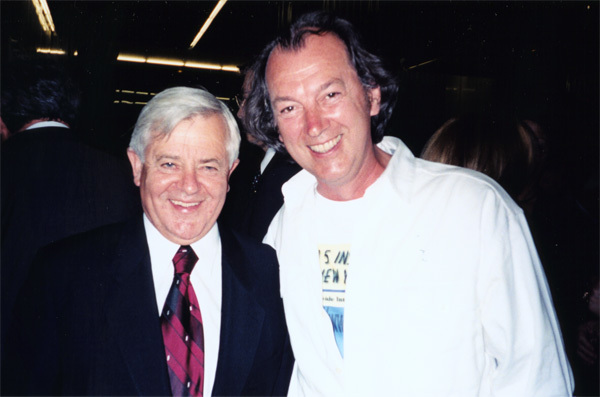 On May 8, 2001, appearing to be disappointed that no criminal charges have been brought as yet against Rogelj, Skaggs, or Alkalaj, a reporter for Dnevnik accused Skaggs and Alkalaj of having interfered with a criminal investigation. It’s possible there is no solid case against Rogelj, but none of the involved parties are talking. The laws in Slovenia allow journalists to carry on this type of vindictive, retaliatory and personal character assassination without fear of any legal recourse, such as lawsuits for punitive damages. Hopefully examples like this will cause the laws to be changed and journalists who are irresponsible and misuse their power will be forced to become more responsible. On May 30, 2001, the public prosecutor filed a civil suit on behalf of the Ministry of Education against Matjaz Rogelj for failure to comply with contractual obligations, saying that he had failed to present evidence of the championship he supposedly participated in, as well as proof of appropriate expenditure of funds granted to him by the Ministry. With this suit the Ministry is attempting to secure the return of the 13.5 million Slovenian tolars (approximately $53,700 USD) it had paid to Rogelj. Wire services also maintain that a criminal indictment is near completion, and that the evidence provided by the police is over 25 pages, proving that Matjaz Rogelj singlehandedly invented the whole show, from the supposedly bogus SAT 5 European championship in 1997, through to the 2001 Rio de Janeiro world championship, with his Australian and Italian preparations in between. As the report states, Rogelj had not only taken the Ministry to the cleaners, but also the Municipality of Ljubljana and Delo Revije (a media company that publishes several magazines). The total of funds involved is 14.5 million tolars (approximately $58,000 USD). One of the ironies of the Rogelj case is the fact that the Slovene media had actively promoted the young man since 1996. After Matjaz Rogelj allegedly won the European computer championship, several Slovene magazines and even the national television network had presented him as a genius, and several reporters had voiced opinions that the state should support the endeavors of this extraordinary talent. In fact, representatives of the Ministry of Education stated that Rogelj was granted his sizable sponsorship because of “undivided media support for the young genius” (See Dnevnik, February 28, 2001). 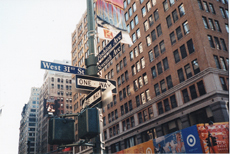 373 7th Ave in NY, where the Sat 5 Institute is supposed to be, does not exist. In preparation, he went to 373 7th Avenue in New York City, the supposed address of the Sat 5 Institute, and photographed its non-existence. Then, to further agitate the journalists who were bent on having him convicted, and to add a little humor for everyone else, he had T-shirts printed with the Sat 5 Institute Web site graphics. On June 19, 2001, he arrived in Slovenia. The plan was to keep a low profile and see what would unfold. He was amazed and flattered that he was recognized and greeted by people almost everywhere he went. Word got out and instead of being arrested, he was invited to President Milan Kucan’s VIP reception to celebrate ten years of Slovene independence, where he and the president were formally introduced. They warmly exchanged pleasantries and he complimented the president for having a profound sense of humor. Happily, the whole experience was the polar opposite of what he had anticipated and prepared for. Interestingly, none of the “investigative” journalists who had “discovered” Skaggs’ involvement in the Rogelj affair and had later accused him of interfering with the criminal investigation tried to contact Skaggs during his visit. The reporters who previously indicated they wanted some questions answered, either did not discover the obvious fact that Skaggs was in Slovenia, or had decided that they had been embarrassed enough. On July 18, 2001, the STA agency (the Slovene wire service) reported that the municipal court in Ljubljana issued a judgement in the civil case of the Ministry of Education against Matjaz Rogelj claiming that he did not fulfill his contractual obligations. This is apparently an uncommonly quick decision which resulted because Matjaz Rogelj and his attorney Peter Ceferin failed to answer within the proscribed 30 days, causing the court to automatically rule in favor of all the plaintiff’s demands. Rogelj’s attorney appeared on television the same day stating that he is negotiating the reimbursement of the 13 million tolars without interest or legal costs to the Ministry. Ceferin also stated that he is certain that Rogelj’s actions could not be construed as a criminal offense. If additional information becomes available, this story will be updated.